Ben Wilson – a UK copywriter, magazine journalist and online editor providing specialist writing services to businesses, magazines and websites that need high quality communications, feature writing and concise copy. As a consummate professional I am both eager and enthusiastic with a passion for the written word, journalism, magazines and magazine craft. A copywriter, magazine journalist and online editor with extensive contacts, I have over four years experience including two years as the online editor for a UK based directory and ezine for adventure sports. As an avid adventure sports aficionado this allows me to combine my love of action and adventure with my passion for writing and prose. 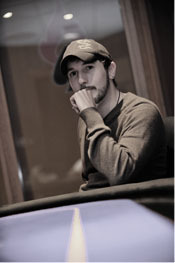 As an established poker journalist I have worked for Future Publishing, Players Publishing, have written for Poker News and am a regular contributor to World Poker Tour magazine – providing poker strategy guides and player interviews. As part of my role as freelance tournament editor I have covered prestigious UK poker tournaments including the Grosvenor UK Poker Tour (GUKPT) and the Gala Casinos British Poker Tour (GCBPT) as well as Paddy Power’s Irish Winter Festival in Dublin. Highly motivated, I have undertaken freelance roles as both a copywriter and journalist for a selection of magazines and websites including business titles and corporate websites. Organised with proven planning and ezine production skills, I possess competent subbing skills and the ability to write flawless copy to strict deadlines.